The popular island of Boracay in the Philippines reopened to the public Friday, but the times of unchecked tourism are over. Government officials have banned parties, smoking and drinking on the beaches. According to Reuters, President Rodrigo Duterte closed the resort town to tourists in April as part of a six-month cleanup effort. 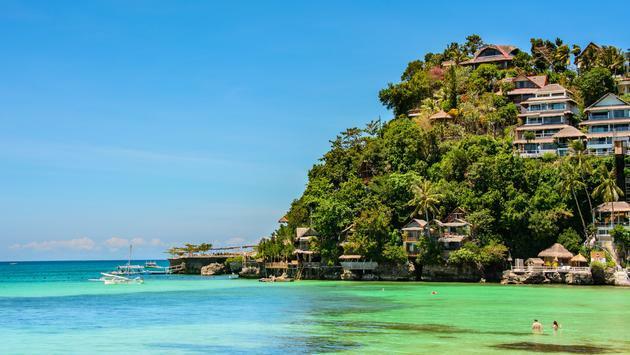 While Boracay attracted two million visitors last year and generated $1 billion in revenue, the island was dealing with overtourism, unregulated resorts and raw sewage. The government is now working diligently to institute sustainable tourism and a greener environment, with Philippines officials eliminating vendors from the shoreline, banning watersports besides swimming, closing casinos and moving moored boats elsewhere. In addition, only 19,000 people will be allowed on the beach each day. As for the hotels and resorts on the island, over 150 facilities reopened Friday offering more than 7,300 rooms, but almost 400 other hotels and restaurants remained closed due to local and environmental law violations. Airlines and ferries serving the island have also been instructed to restrict service to the area.